Cook the noodles in boiling salted water until almost soft, drain, rinse in cold water, set aside. To make the marinade, combine the lime juice with the ingredients up to and including turmeric. Stir in the tofu, cover and marinate for about 2 hrs. Remove the tofu from the marinade, scrape off the marinade and retain. 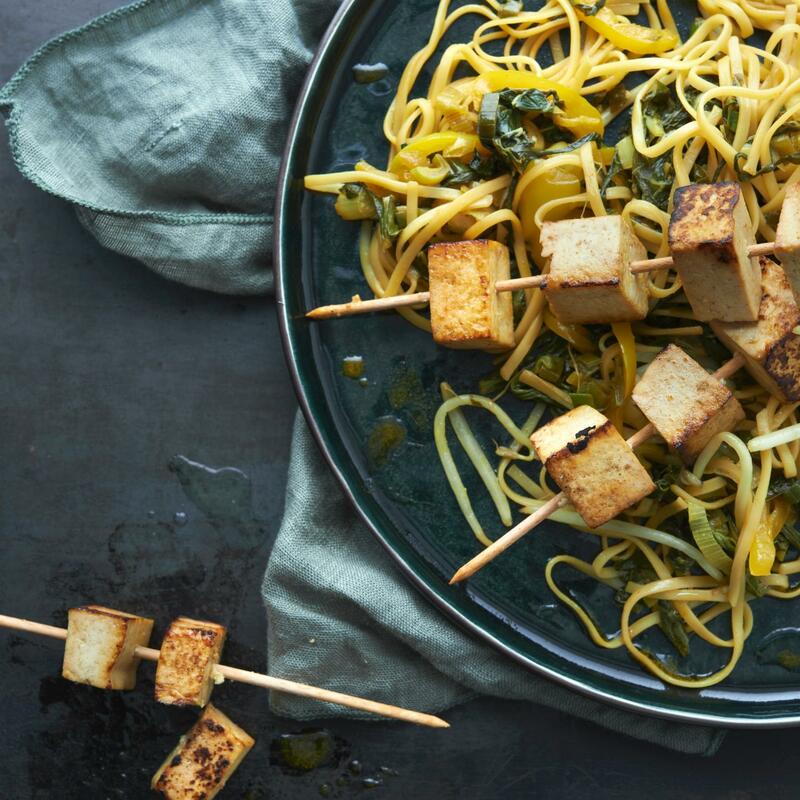 Place the tofu on skewers. Heat the oil in a non-stick frying pan, fry the skewers for approx. 5 mins. and remove, keep warm. Heat a little oil in the same pan. Briefly stir-fry the onions and garlic, add the Swiss chard and peppers for approx. 3 mins., stir in the bean sprouts and continue to stir-fry for approx. 1 min. Add the noodles and reserved marinade, heat through. Stir in the peppermint. Serve with the lime.